It's easy to capture that perfect shot. Take crisp photos, even in low light. And catch action shots as they happen with Smartburst. Once you've captured the moment, Google Photos keeps all your photos backed up and organised, so that you can find and share them fast. 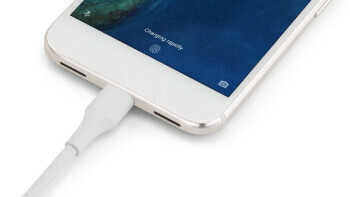 When you need a quick charge, the reversible USB Type-C charger gets you up to 7 hours of battery life in just 15 minutes. 4 And when you aren't using your phone, Doze automatically puts it into a sleep state to extend your battery life, so that you can move at your speed. Designed using imagery from Google Earth and Google Trends, each Live Case not only features beautiful case artwork but also a companion live wallpaper that showcases either striking images from around the world or top trending Google searches.